Oh, the places you’ll go with your trusted Jeep. There are unlimited possibilities after you buckle up your seat belt and turn that ignition in your Jeep. Are you going to stay in the city, exploring downtown or do you head West and chase the mountains down the road? Whether it’s a solo trip or you have the whole squad ready, the world is at your Google Maps fingertips. Now imagine that you had a 2018 Jeep Wrangler Unlimited Sport “S” 4×4 waiting for you in the driveway, shiny, new and with a tank full of gas. Renfrew Chrysler is giving away a full year’s lease of the 2018 Jeep Wrangler Unlimited Sport “S” 4×4 to one lucky Date Night reader. It could be you driving your besties around to the best road trip destinations and favourite Calgary spots. We don’t want to sound too biased, but there is nothing better than hitting the pavement in the 2018 Jeep Wrangler Unlimited Sport “S” 4×4. Especially in Calgary during the winter you want a vehicle that is safe and reliable when things get a little icy. You’ll look like a snack cruising through YYC in the Firecracker Red Wrangler with black interior and all season tires. Pump up the jams with the Bluetooth connection and take off the top during those warm, sunny winter days. Standard safety measures are included in the vehicle as well as a backup camera to make sure you can slide into those parallel parking spots along 17th Ave. 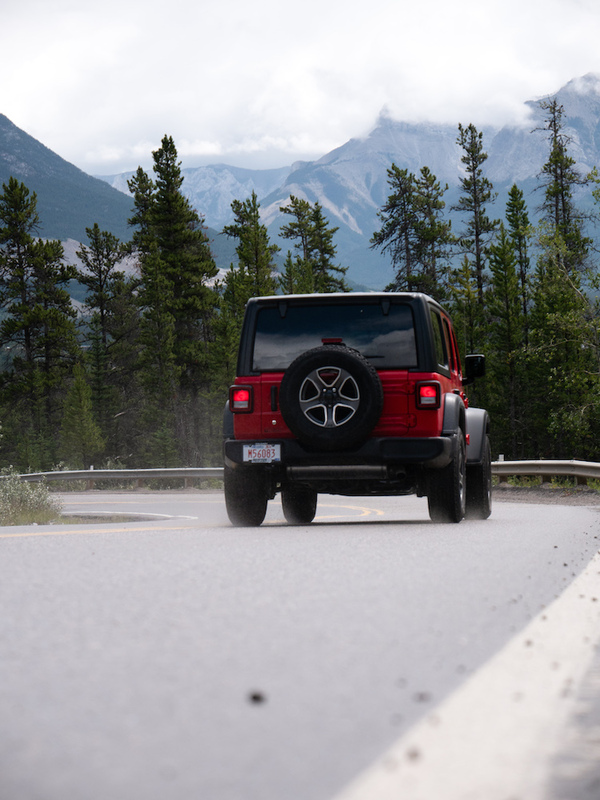 Your choices of destinations are endless, but we put together a list of our favourite spots that we would take our newly leased Jeep if we had the chance. Relax, refresh and reconnect with nature just a short drive from the city. We live so close to the mountains, we really should be taking full advantage. 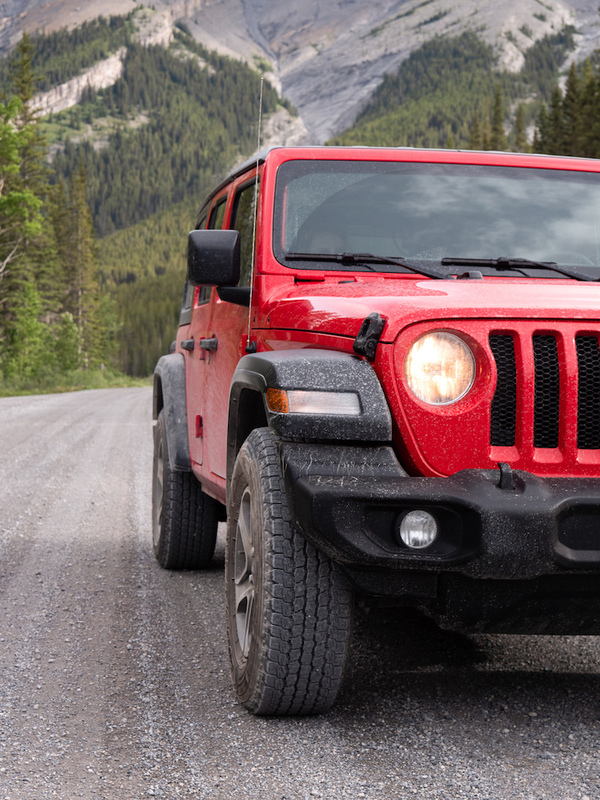 The 2019 Jeep ___ has great highway mileage and you’re sitting in the ultimate comfort the whole trip. 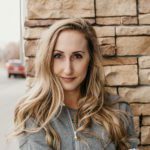 The Heart of Bragg Creek is an adorable cafe and yoga studio that is perfect to escape the city and take a breath. A real gem in the south of Calgary, Starbelly is a delicious option for brunch with its rustic vibes and carefully curated menu. Sometimes we forget to explore the suburbs of the city which means you might miss noteworthy spots like this one. It’s a lovely drive through the city down to Mahogany and worth the drive once you take the first sip of your mimosa. Fit all of your ski gear in the back of your Jeep and head towards the mountains for a day or two of fresh powder skiing at Nakiska. With all-wheel drive you don’t have to worry about winter driving through the mountain roads, the AWD snow setting has you covered. Hit the slopes and then head towards the Nordic Spa at the Pomeroy Kananaskis Mountain Lodge afterward to warm up, relax and rejuvenate in the pools, saunas and steam rooms. Find some fresh air and a little activity on a Saturday morning by driving your bikes to Edworthy Park in NW Calgary and bike along the river. Two bikes can easily fit in the back of your Jeep so you don’t have to worry about transportation. Bike along the paths and explore the river and parks along the way. Pack a lunch and stop for a bite along the river bank and take in the inner city nature vibes. The destinations are endless with the 2018 Jeep Wrangler Unlimited Sport “S” 4×4, the real question is where to go first? 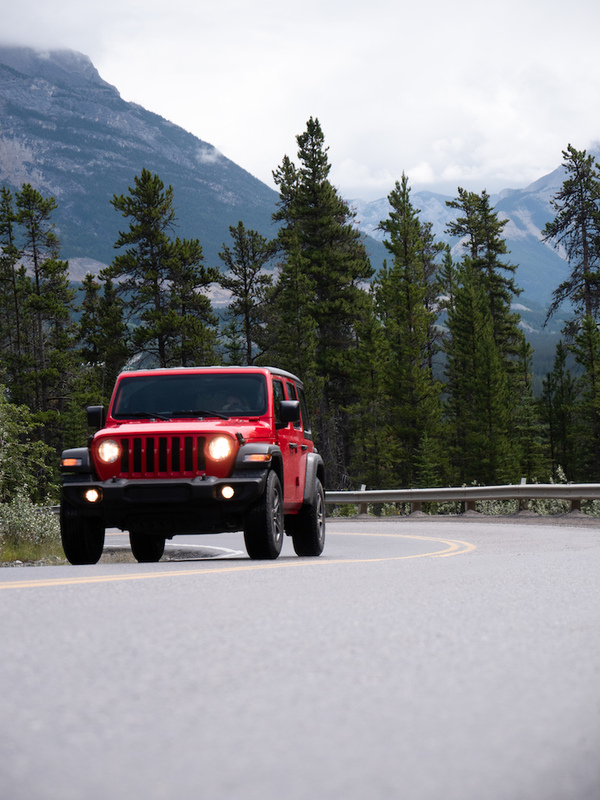 You could win a year’s lease on the 2018 Jeep Wrangler Unlimited Sport “S” 4×4 which will give you the opportunity to explore this city, province and country in style and make Instagram jealous. To enter the contest check out our Instagram post HERE. Please don’t recommend off-roading for Jeeps and other 4-wheel drive vehicles. The practice is very hard on trails, vegetation, creeks, etc and results in soil erosion, habitat and spawning site loss for aquatic animals and stress for wildlife, not to mention excessive noise in otherwise natural areas which many would like to enjoy sans disturbance. Thank you!